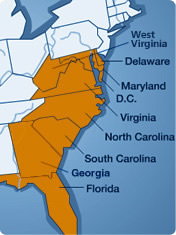 Search property listings in all of Maryland's counties. Primary residence, second homes, investment property, waterfront, garden style & low/high rise condos, attached/row house, back-to-back, bed and breakfast, detached, double-wide, duplex, dwelling with a rental, garage/parking spaces, houses of worship, mobile homes, penthouse, townhouse, vacation homes/rentals, multi-unit, commercial, residential and commercial rentals, lots, and land. Search Montgomery County, Frederick County, Baltimore, Prince George's, Anne Arundel, Howard, Carroll, Calvert, Allegany, Washington, Caroline, Cecil, Charles, Garrett, Dorchester, Harford, Kent, Queen Annes, Saint Marys, Somerset, Talbot, Wicomico, and Worcester counties.